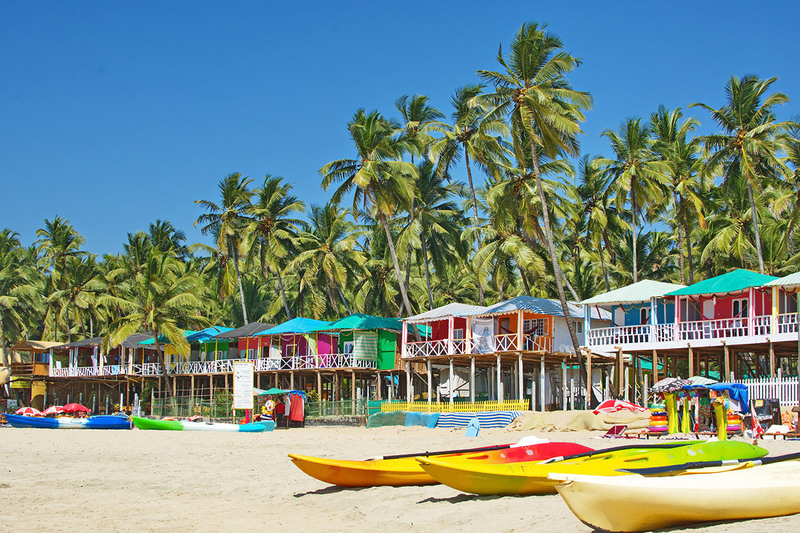 Goa, the spectacular city and the smallest state in the west India, but rich with the history and coastal paradise. Surprisingly, Goa was once colonized by Portugal. 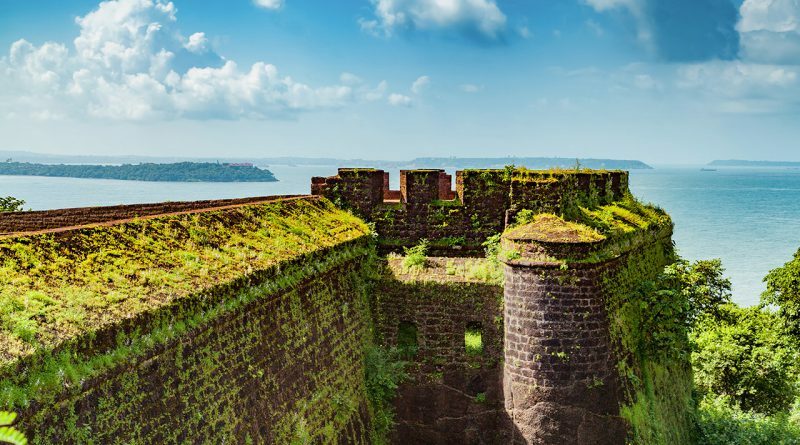 additionally, the edifices that Portuguese built, were abandoned as the appeal landmarks of Goa. 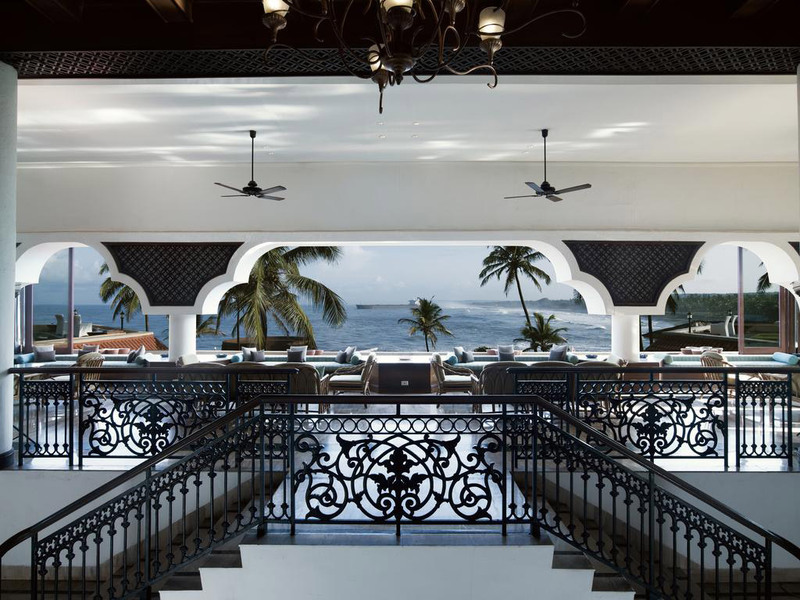 Although Goa is the smallest city, yet covered up the several great attractions, renowned for vacationers especially honeymooners. Hidden paradise awaits your exploration. The distinctively interesting landmarks in the past affluence of Portuguese colonialism. Together hold-hand moment diving into the presence of old time to have memorable experiences as through spend life in that period. Paradisiacal beach in Southern Goa that utterly deserved to make a visit. Place is easily reachable. Strolling on the beach while viewing the tranquil landscape, or get a bike to ride along to engage the coastal atmosphere just only you and your loved one. 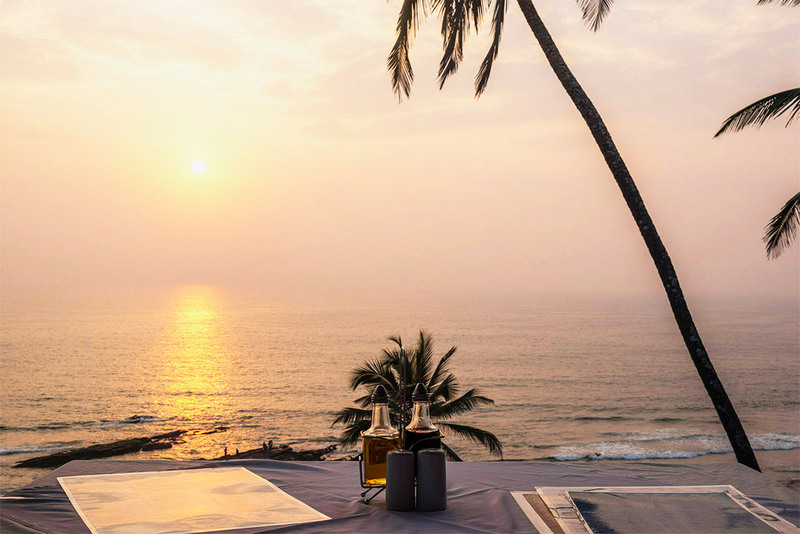 The sunset at Palolem beach is considered as Do-Not-Miss spot, tangerine tone of the sun is very exclusive scenery. And the most special point is dolphin spot, the sighted dolphin amidst Arabian sea. The spotting dolphins that are sighted which is so great sighting. If want to closely spot the dolphins, on condition that going to local boat proprietors then fisherman willingly picks you up out into the sea for an inexpensive fee. The dolphin surrounding by you and your loved one as a witness is very exclusive way to impress the affection. SE CATHEDRAL, THE WHITE ELEGANT PORTUGUESE BUILDING. A few minutes by taking a walk to Se Cathedral, follow the rich tone of the golden bell reverberating over the area, it just located opposite Basilica of Bom Jesus. Another romantic location for lovers to create the memorable one. 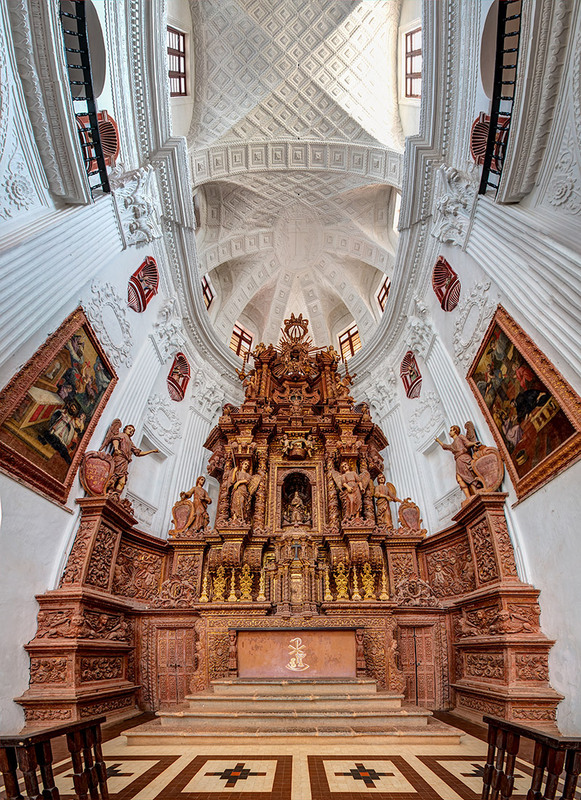 White building paints, the exquisitely architectural edifice of Portuguese Gothic style. There are several sections inside to get intimately looked, each one section spends amounts of time by walking through captivating path and viewing the impressive paints. Take lover’s hand and pace together. AGUADA FORT, THE MONUMENT FROM COLONIALISM. 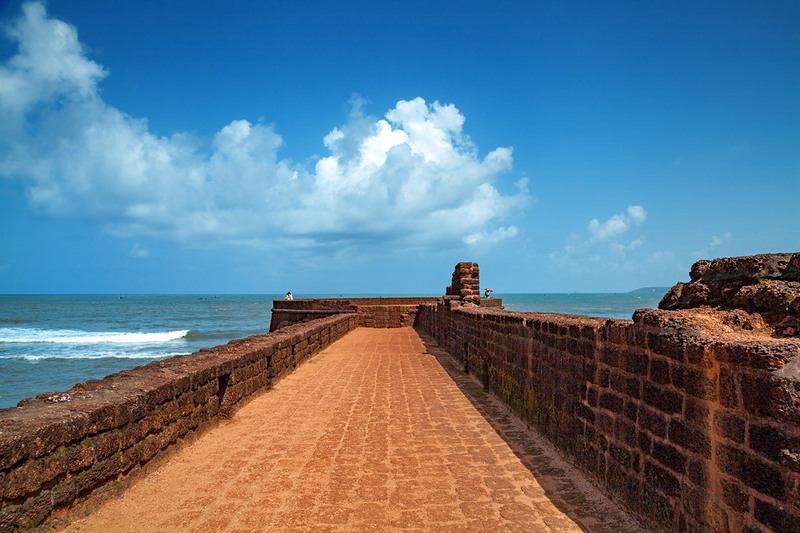 It was constructed to obstruct the enemy ships thus defending Goa from the invasion. In the present, it’s the one of important heritage site, also a must-see in Goa. Shrouds a panoramic view from the high fort adjoining seashore, a treat to the eyes, walking on the lurid brick path with your loved one, gently sea wave sound, sea cool breeze wafting through a hair and eyes looking to each other, a real perfect moment. Bollywood movie shot-taking here. ARPORA SATURDAY NIGHT BAZAAR, FRIENDLY LOCALS AND INEXPENSIVE GOODS. 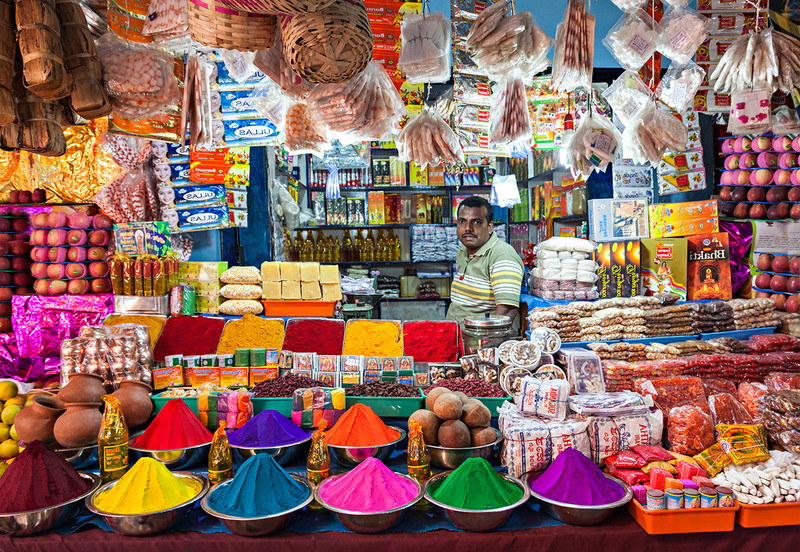 Great colorful market that well worth to make an enjoyable visit. Many various assortment of goods, cheap items are numerous to be bought, some are high price, but negotiable. A vendor is very friendly. If visit on Saturday, the evening atmosphere will be completely different. Arpora Saturday Night Bazaar is an optional choice to go strolling and get some a little gift for your lover. Fill your dream honeymoon trip with the wonderful stay and have the exceptionally sweet moments to create the unforgettable memory carving in your heart. 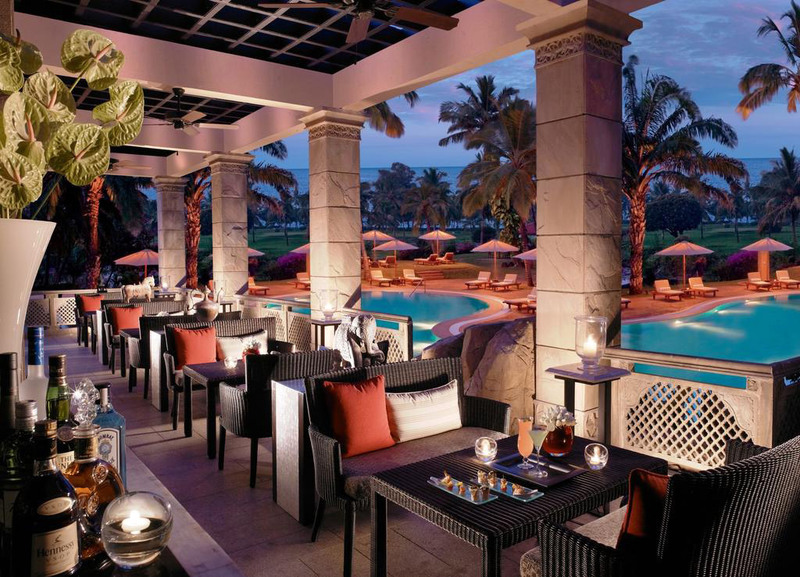 Out of the world experience at Riverside luxury resort which have fabulous every spot, the Leela Goa. The natural surroundings of the stunning location. Privately absorb a romantic scene with breath-taking views and the vast landscaped gardens. The beach is well maintained and good to stroll. High property which is unreplaceable. Staff is super professional, highly attentive and greatly hospitable to assure the customer to have the impeccable service. 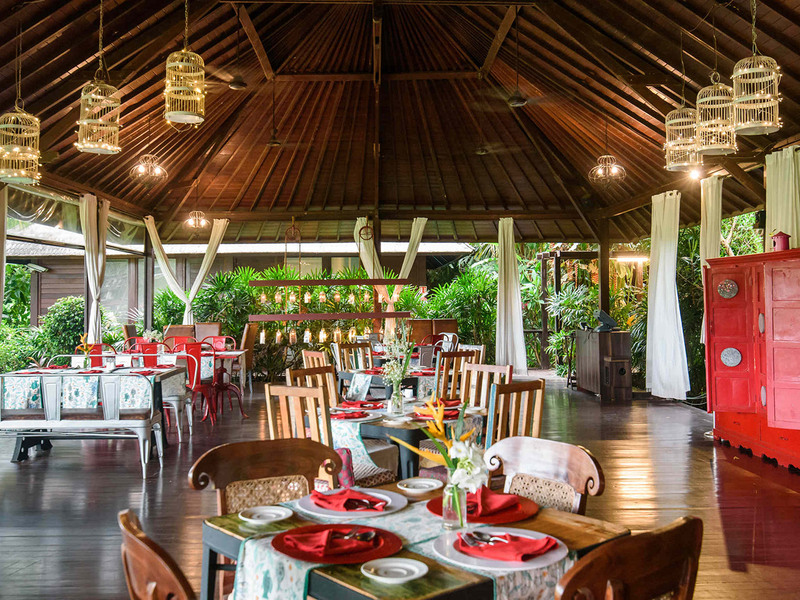 The vast variety of scrumptious food servings, extensive lobby. To circumnavigate to watch the elegant sunset is the one of special provided service which is very exclusive for honeymooners. 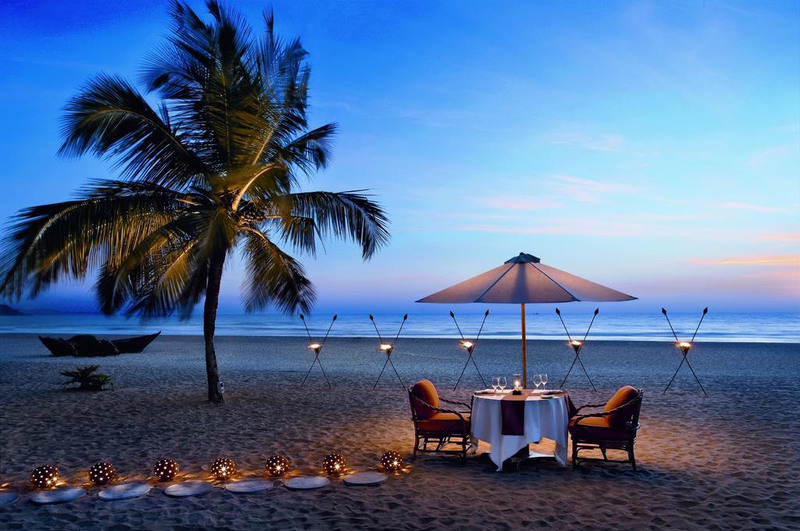 Charming, romantic, animate that all completes in Goan experience with the great location hospitality and natural beauty, spectacular sights of the fortress and spotless beach, such a spot to have a memorable romantic moment. 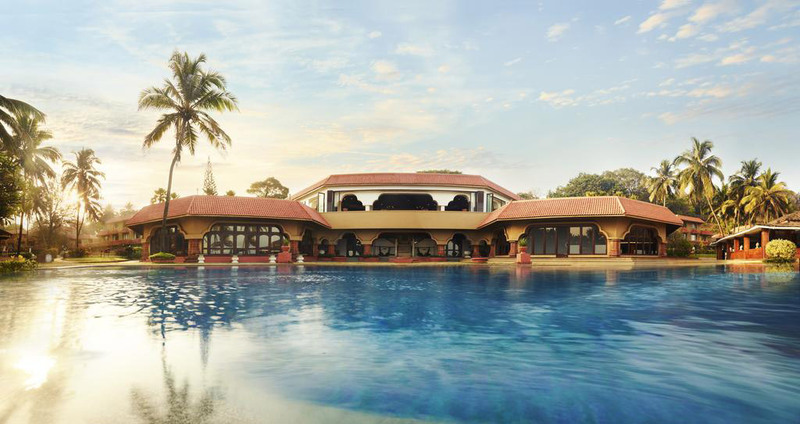 So, having your pleasure stay at Taj Fort Aguada Resort & Spa. 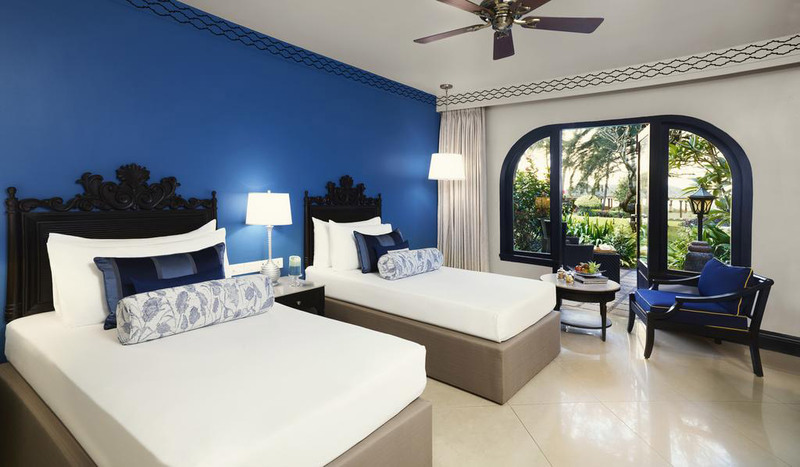 Elegantly Portuguese décor, blue color is beautifully embellished in every corner. The best of cuisine showcases the master of the seasoned chefs is extremely outstanding. At the pool, drinks, especially cocktails which is so good and cold coffee provided by the attentive and very friendly pool staff that nice to have a chat with. 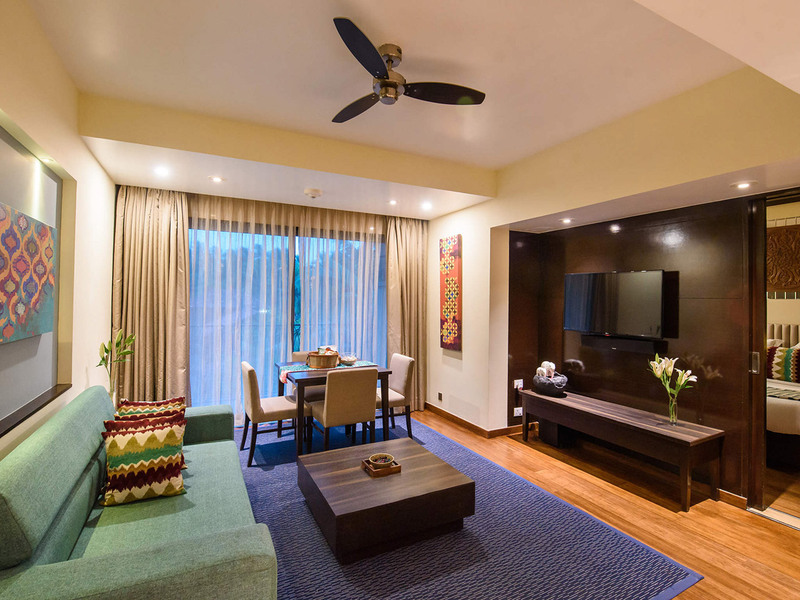 The Arabian Sea views can be easily overlooked from the deluxe room. FAT FISH, A GOOD COOK IS LIKE A SORCERESS WHO DISPENSES HAPPINESS. 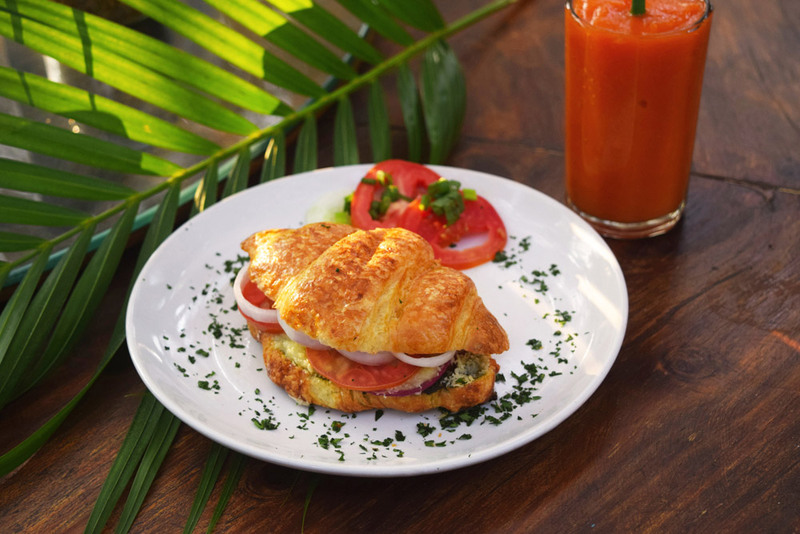 A good emotion comes from a great food. Fat Fish is a unique one of the most unique restaurants, culture, food and atmosphere that impeccably blend into the greatest food experience for satisfying everyone’s need. 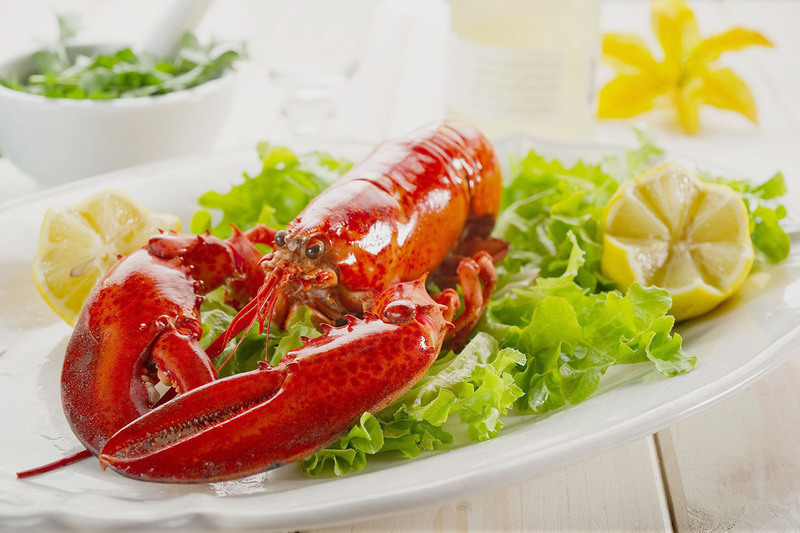 All of dishes are created by using the excellent components and fascinating exclusive cuisine to bring out the ultimate quality of producing remaining the genuineness of the sumptuous aliment.